On January 7th (at 9pm EST) we are releasing another card kit! Our kits have been well received in the past, but this time, we changed things up a bit! With the release of the Be Mine paper collection from Echo Park... I just could NOT decide which papers to get for the kit! And since I placed the order well in advance to ensure we had all the papers i wanted, I decided, ya know what... LETS GET EM ALL! So this card kit has 22 sheets of 6x6 patterned paper! Along with many other goodies and some exclusive to the kit stamps! And now... here are some adorable samples from some of the senior design team members using the Mon Cheri Card Kit! This stamp set is a must. Again, love, love, love them. 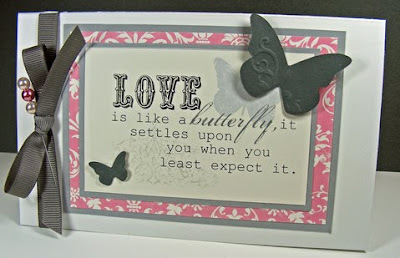 I enjoy seeing how the stamps are used in the cards and the variety of ideas. Fantastic. And again, the French atmosphere is in these stamps too. I need to leave another comment now that I have gone back and looked at all the new releases coming out on 1/7/11. The imagination of the people making these cards is fabulous. 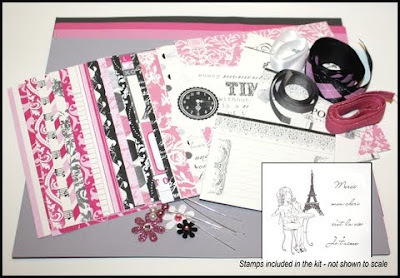 The designs, paper, ribbons, embellishments are so complimentary of each other. Their talent for eye-catching designs is wonderful. KUDOS!!! to the design team. I can't decide which of the new stamps is my favorite-I love them ALL. What a fun looking set! And I love the cards that you've teased us with. Great grouping of themes... France + Love + Valentines. So many great ideas. oh my! I MUST have this kit! I love it ALL!!!!! LOVE, LOVE, LOVE this kit! The DT projects are wonderful. They showed how versatile it is. 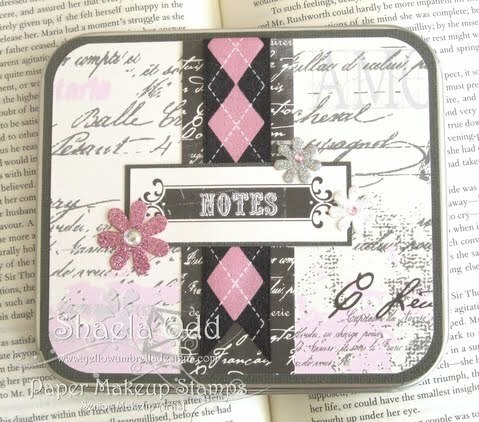 Love the pink/black/gray color combos. Wonderful! What an amazing kit! WOW! Love the cards you all created for samples too. Your cards are stunning and so festive.I like it so much its a great efforts made by you thanks. Mais c'est Paris en France! Very chic. This card kit is the best yet! LOVE IT!